KOM Consultants is the official Canadian representative for Institute of Technology Tralee in Ireland. 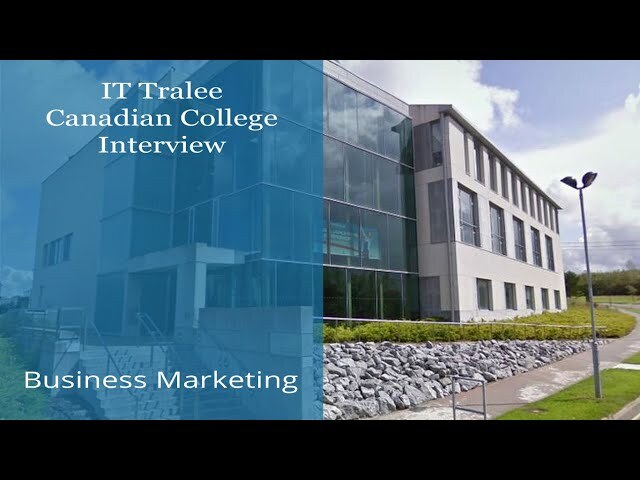 Canadian applications to the IT Tralee’s Degrees from Canadian Colleges are submitted directly through KOM Consultants at 1-877-318-8203 or info@komconsultants.com. Convert your Canadian Community College Diploma into a Bachelor’s Degree at IT Tralee in Ireland, in as little as just 1 year through KOM Consultants. Small class sizes, and excellent staff-student ratio, and a strong emphasis on learning through practical application, combine to make an interactive dynamic learning environment. A community of 3,500 students from over 40 countries gives a diverse mix of international cultures and you are assured of a very warm Irish welcome. IT Tralee shares a campus with Kerry Technology Park (enterprise incubation space) promoting a culture of enterprise and synergy between business and highly skilled students. IT Tralee is a relatively small college of approximately 3,500 students. It is divided into three schools; Business and Computing, Social Studies, and STEM (Science, Technology, Engineering and Mathematics). We operate out of two campuses, both of which are in the town of Tralee. Approximately 15% of our students are international. We currently have students from Brazil, Canada, Saudi Arabia, China, Great Britain, Turkey, and all across the European Union. Tralee is located in County Kerry in the South West of Ireland. It has a population of approximately 25,000. Being a small town means that everything is reasonably accessible, even for students who don’t have their own transport. A bus service is available to transport students from their accommodation to either campus, though most accommodation is within easy walking distance of college. 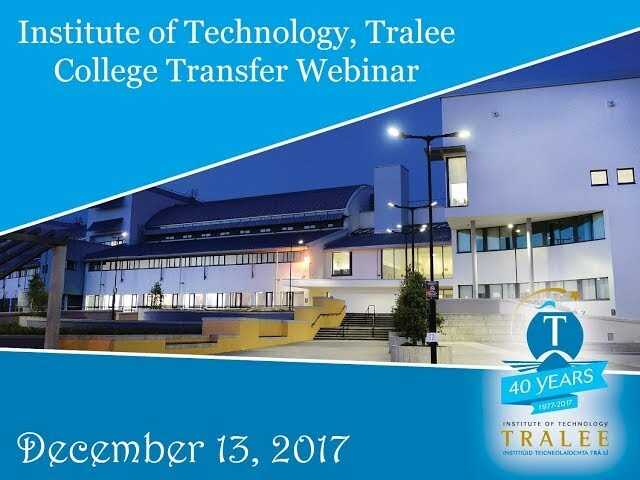 IT Tralee is a recognized college by the Ontario Ministry of Training, Colleges and Universities. Therefore, students currently availing of OSAP may continue to do so on application to the Ministry. As a recognized college you may apply to the Ministry as you did while studying at your home college rather than following the “Studying Abroad” procedure set out on the OSAP website. How Much Will It Cost To Study At IT Tralee? Accommodation: approx €3,000 for September to May. Food and incidentals are estimated by IT Tralee at approx €3,000 per year. 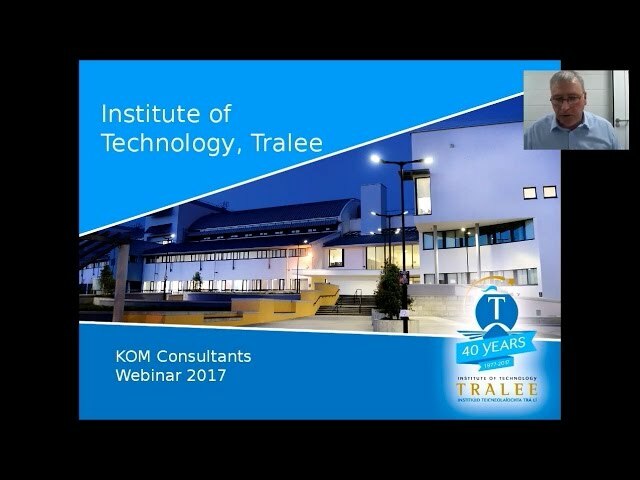 KOM will work with you and the IT Tralee International Office to locate you in one of the dedicated student apartment complexes in Tralee. You will have your own room with a private bathroom. Kitchen and living rooms are shared with 3 other students and broadband internet access is included in all apartments. All apartments are relatively new (most less than 10 years old) and offer high standard of accommodation. Overall the experience has been great. The welcome was one of the warmest and friendliest I have ever had. Tralee really puts the old saying that Canadians are the friendliest people on earth to a challenge. I love the experience in Tralee. The transition to IT Tralee was a lot easier than I thought it would be. The one big change was that midterm’s and finals are worth 50%, but if you go to class, do the work the 50%’s aren’t too terrifying. If you have a chance to study here, definitely take it. ROB, St. Lawrence College, Kingston, 2015/16, Music Technology. I recommend studying abroad to anyone who is interested in a challenge – it can lead to great rewards. CL, Sir Sandford Fleming College, Peterborough, 2013/14, B.Bus (Management). Tralee has been great! The town has everything you could need, and people are very helpful. The Town Centre Apartments are amazing. MS, St. Lawrence College, Kingston, 2014/15, B.Bus. (Accounting). My favourite thing about Tralee is being surrounded by international students. It’s a unique experience to meet so many people from different countries … You learn a lot about the world just from socializing with other students. Tralee is a small town which makes living in a new culture easier. It’s a very beautiful part of the country with lots of nice travel destinations. Living cost is similar to back home. CB, St. Lawrence College, Music Technology. I have been working as a cook for over 20 years having started an apprenticeship as a teenager. Never in my career have I encountered such a level of professionalism, and excellence as I have in my few weeks at IT Tralee. The expectations are high … most of the instructors have come from Michelin Star backgrounds, and I’m proud to be training under them. I look forward to learning everything I can to bring back to Canada with my BA in Culinary Arts. I am a certified Ontario Teacher, with hopes of training the next generation of Canadian cooks. This program allows for me to get a degree that they don’t offer in Canada. WB, St. Lawrence College, Culinary Arts. Canadian College Diploma (2 or 3 years). Entry requirements will vary depending on program. Contact KOM for full entry requirements.